Download Saxzy – “Feelings” (Prod. Ilblacki) mp3 now. 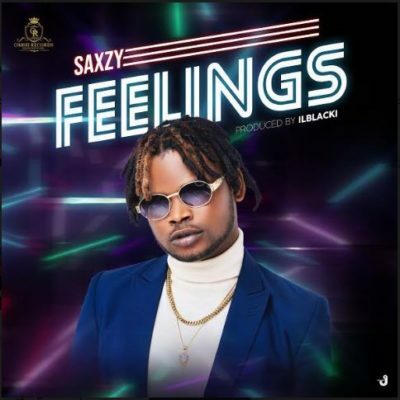 Download Music MP3 Saxzy – “Feelings” (Prod. Ilblacki) right here. After the massive success of his previous single – “Owo”, Oarhi Records frontline act – Saxzy, kicks off the year with another single tagged “Feelings”, produced by Ilblacki. This is definitely one song that will get you addicted in no time. Download and share your thoughts below..
NB: Please be aware that Saxzy – “Feelings” (Prod. Ilblacki) is hosted outside this particular website as we host NO file. In case of any copyearight claim and request for take down, kindly use our 'contact us' page to put a notice across.